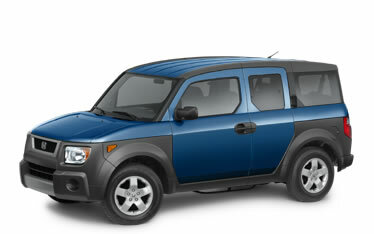 The element game is is a car game where you're looking for Honda elements. Each time someone spots an element, they call out the next element in order from the periodic table. For example, when you see the first one, call out Hydrogen. When you see the second one, call out Helium, and so on. You can either restart the sequence every morning or, on a long car trip for example, try to see how far you can get. If you don't have the periodic table memorized, there's a good listing version at the Wikipedia. We certainly didn't invent this one, but it managed to stump a game industry professional at one of our convention events. Each time you see a VW bug (either the old or new style), call out the color and "Slug Bug" followed by something else of that color. For example, "Yellow Slug-bug, Bananas!" A more kid oriented version of this involves actually tagging or hitting someone else when you say it, often followed by the ubiquitous "no tag backs!"